Mable Brown passed and the community well celebrate life in the community of Champaign-Urbana. As she passed away April 16, 2010. 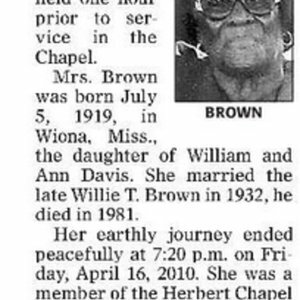 News Gazette, “Mable Brown Obituary,” eBlack Champaign-Urbana, accessed April 23, 2019, http://eblackcu.net/portal/items/show/269.